Wimbledon is as much about the fashion as it is the strawberries, swooning over Nadal's one huge bicep, oh, and the tennis. 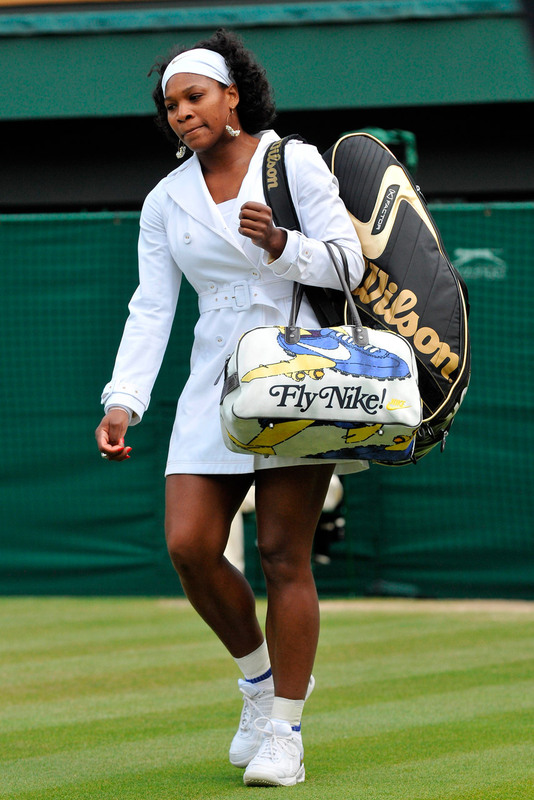 Here we look back at some of the most memorable Wimbledon looks – both on and off the court. 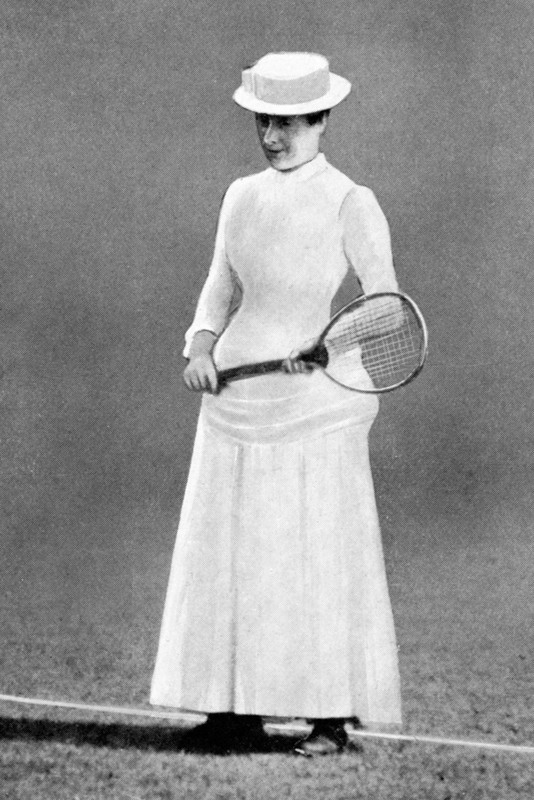 Maud Watson defeated her sister Lilian in the inaugural ladies championship final in 1884 wearing a white corset and petticoat. Now that takes some skill. 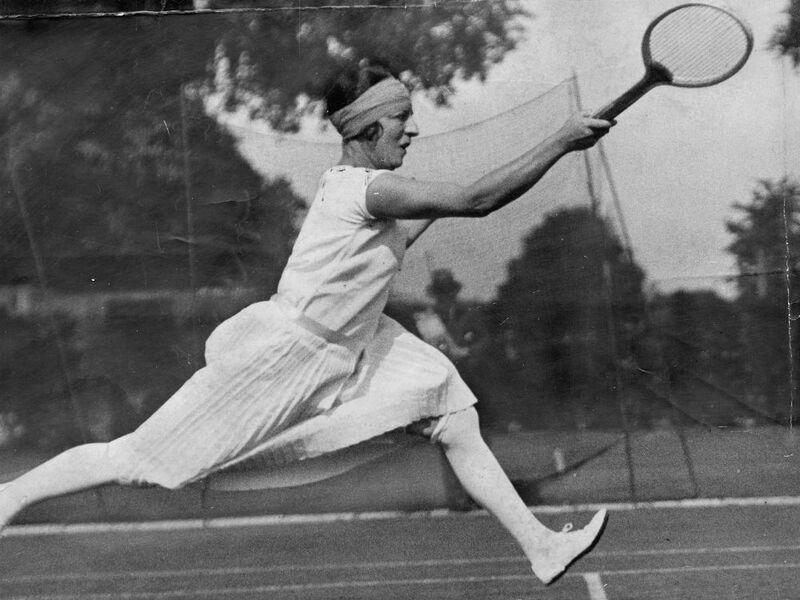 One of the first female tennis stars of her time, Suzanne Lenglen was nicknamed La Divine by the French press. She was oft temperamental on the court and became a favourite of spectators for her passionate outbursts and of course, trendsetting style. 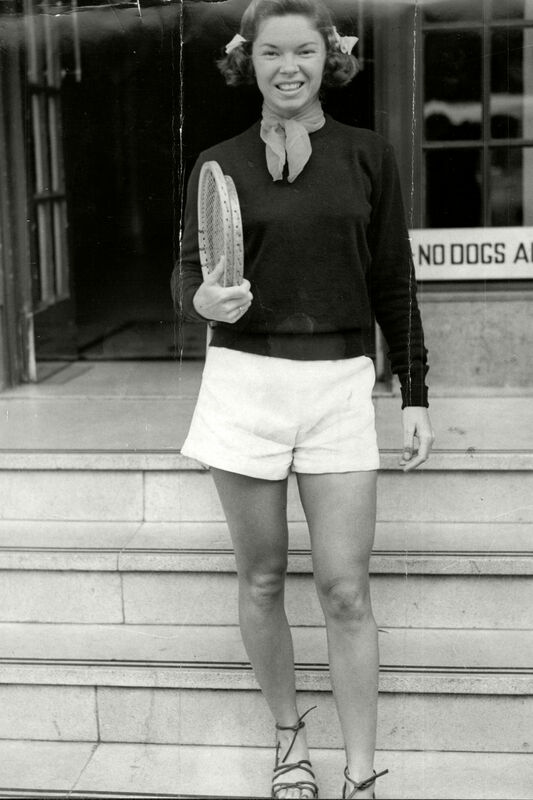 Gorgeous Gussie earnt her nickname when she turned up at the All-England Club wearing a short skirt and ruffled underwear instead of the knee-length skirt that was considered proper at the time. 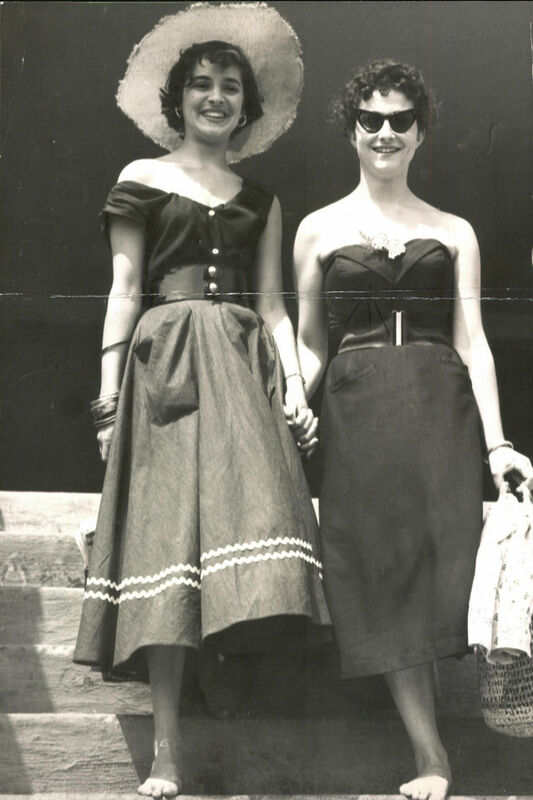 The Italian tennis player was famed for her style choices, we love the feathered creation she chose for her her match against Great Britain’s Miss H.W. Allen. While the tournament is glamourous now with a slew of celebrities attending, back in the day it was major. These spectators show us how it’s done. Neckerchief? Check. Cute pigtails? Check. On-trend sandals? Check. 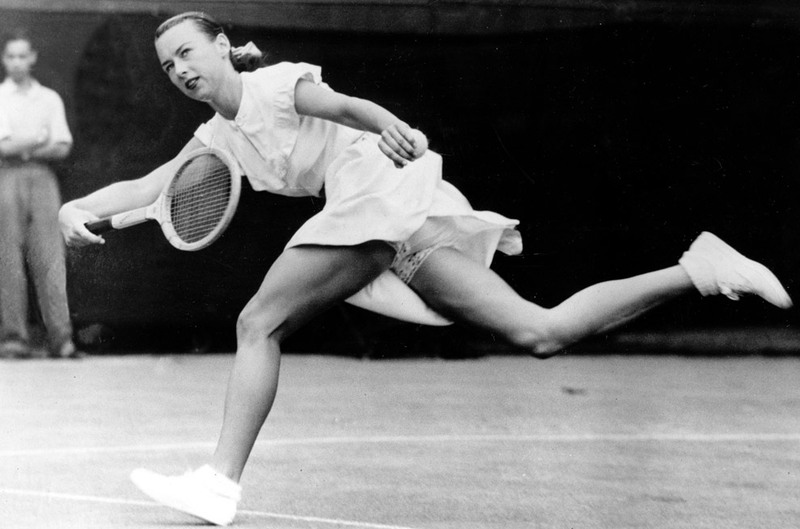 Beverly Baker had it all with this look from the 1951 Wimbledon tournament. 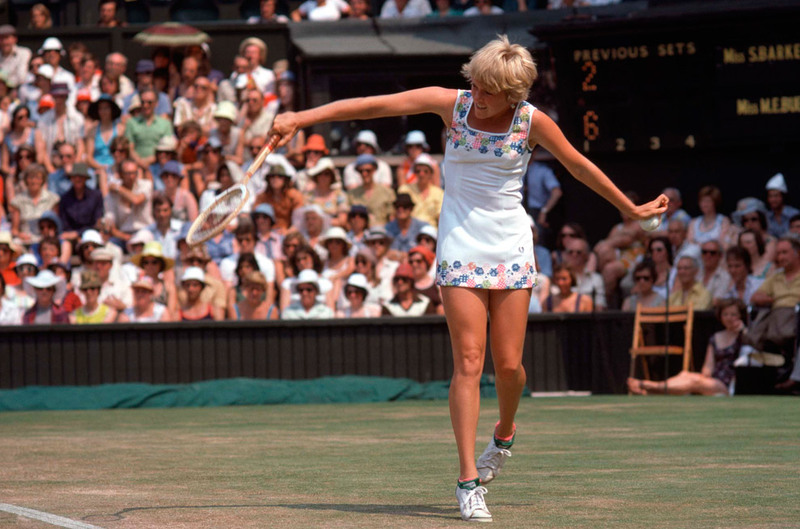 Still a Wimbledon regular, Sue Barker was once seen running riot on the courts of the All-England tennis club with very short hemlines. This was a fashion moment that has thankfully not been repeated again. It may have been the 1980s but there really is no excuse for this all-in-one lycra ensemble. 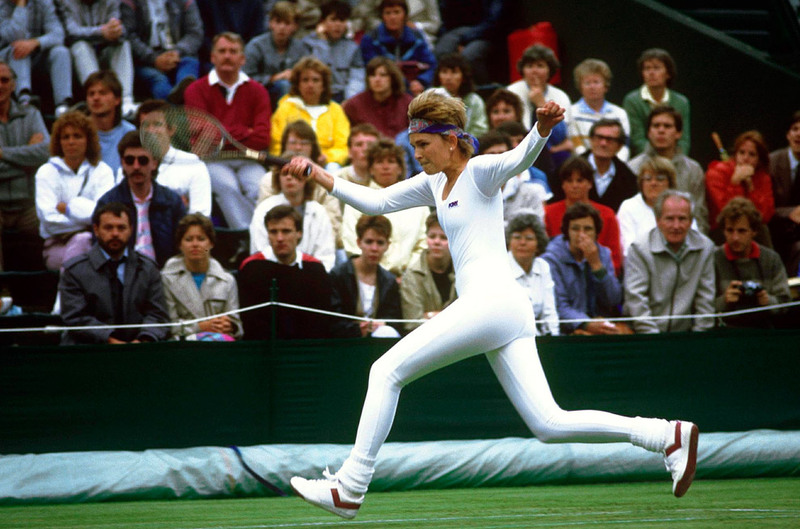 Speaking of eighties fashion disasters, the legendary Ms Graf didn’t manage to avoid the shellsuit trend that reared its ugly head during that decade. 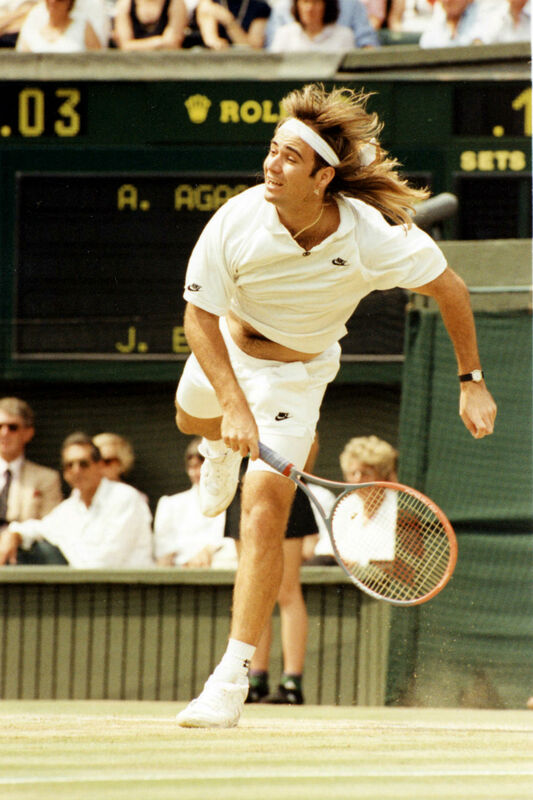 Andre famously refused to play Wimbledon because of the club’s strict dress code, so when he decided to play in 1991, everyone was waiting for baited breath for him to turn up in a guns blazing, neon outfit…but, alas, he paid homage to the dress code in a startlingly white ensemble. That mullet though. 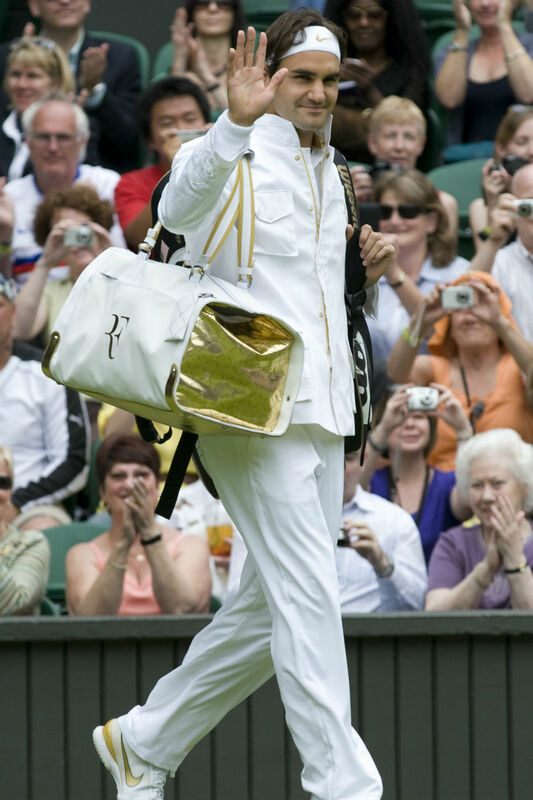 Aiming for the win, Roger Federer turned up to the men’s singles final match in 2009 in all gold everythang. In true Federer style he won the 4 hour 17 minute match against Andy Roddick and claimed the cup as well as a world record for men’s major titles. Bravo. 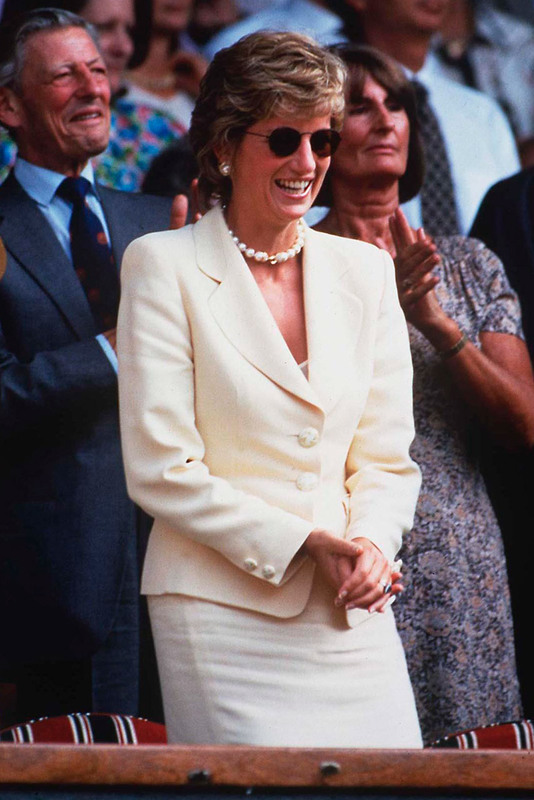 The late Princess Diana never failed to look the part and a visit to Wimbledon was no exception. Diana looked immaculate in a cream suit and chunky pearls as she sat in the Royal Box. The tennis champion arrived for one of her Wimbledon matches in 2008 wearing a Nike trench coat and statement hoop earrings. Sportswear’s attempt at chic. 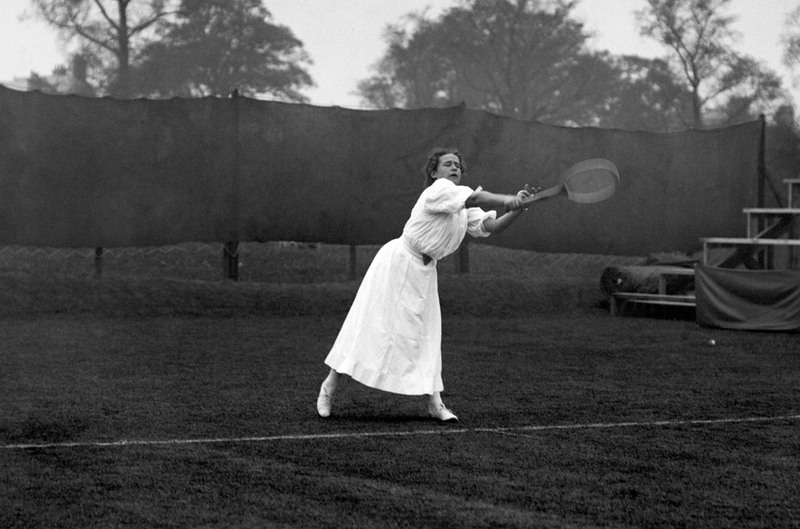 Maria championed Nike’s tuxedo-style tennis attire, which (thankfully) never took off in the mainstream. 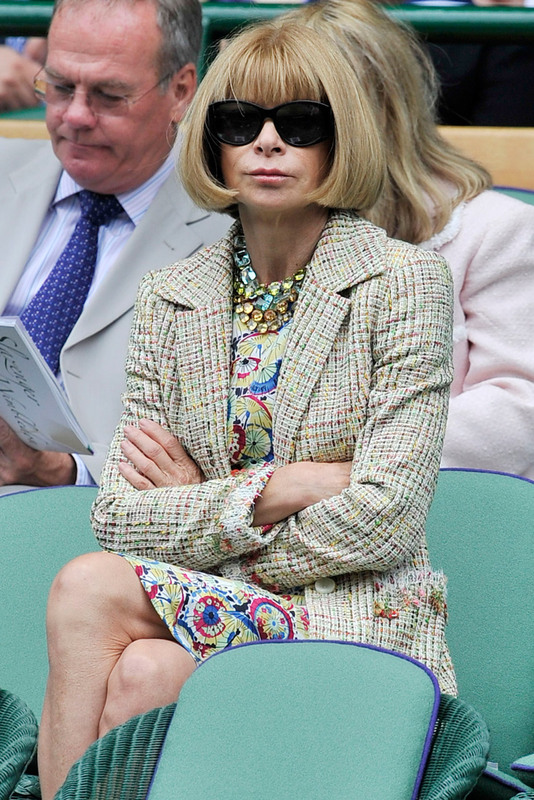 The fashion legend treats a Wimbledon match exactly as she would a catwalk show: by dressing immaculately and wearing a perma-scowl. Venus kicked off her Wimbledon 2011 campaign by wearing a tiny embroidered playsuit with a gold belt. The tennis star had accessorised the look with heavy earrings and a large gold pendant necklace, but quickly ditched them after the first few vigorous games. The Duchess of Cambridge got the camera bulbs flashing when she arrived to see Andy Murray play wearing a stunning pleated Temperley London dress. Wow. Known for her outrageous on-court fashion choices, Bethanie really went for it in this Alex Noble creation during Wimbledon 2011. Tassels, studs and white tennis balls all in one jacket? Amazing. David and Victoria Beckham came suited and booted for the Wimbledon men’s final in 2012, and we couldn’t take our eyes off them. There are no words for Hugh Jackman’s 2014 look. 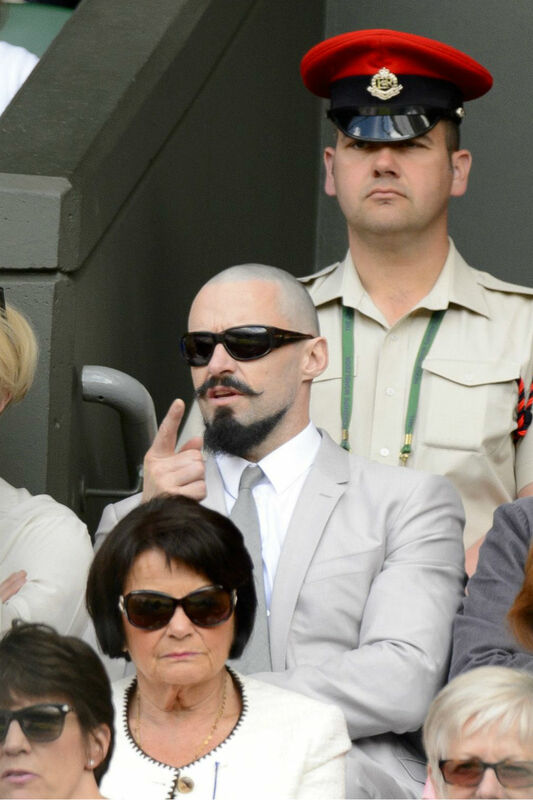 Let’s just all be thankful that this particular facial hair style was for Hugh’s role as Blackbeard in the upcoming Pan film due out later this year and will not be making a reappearance at this years tournament. And, as a Wimbledon treat, here’s Rafael Nadal sporting a vest and showing off his incredible arms. Delish.